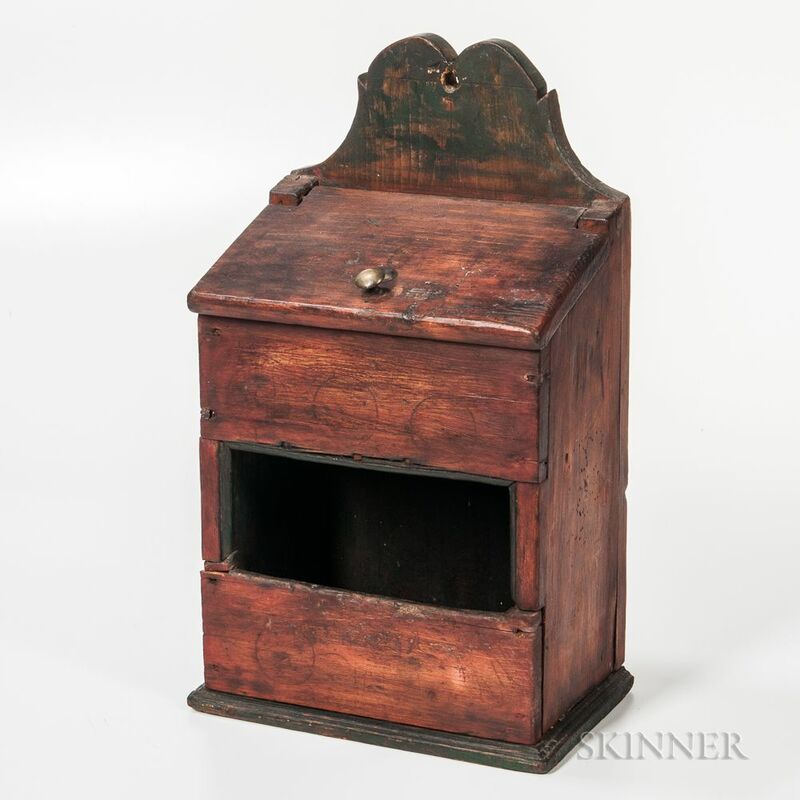 Pine Wall Box, possibly Pennsylvania, c. late 18th/early 19th century, heart profile crest, lift lid with brass knop, over an open compartment on a molded base, ht. 18 7/8, wd. 10 1/2, dp. 7 in.